Divorce is one of the most emotional experiences that you will ever face. The decision to end a marriage is a difficult one, often accompanied by anger, fear and resentment. The negative emotions associated with divorce are responsible for more than just hurt feelings; they can also affect the legal process and its outcome. When a couple has little or no marital property, no children and no disagreement on spousal maintenance/alimony, their divorce usually proceeds very quickly. Most couples, however, have numerous issues to work out during the divorce process. These issues may involve children or significant marital property, personal property, real estate, a family business, large (or concealed) debts, trusts, real property in other states or countries, joint and separate accounts, investments, insurances, pensions and other assets. If any of these assets were acquired during the marriage, they must be located, valued and divided between the spouses. In our experience, the more hostile the divorce, the more difficult it becomes to resolve the surrounding legal issues. Questions of spousal support, division of property and custody can become quite contentious. Most importantly, if children are involved, they can be deeply distressed to observe hostility between their parents. It is in your family's best interests to approach divorce from an amicable perspective. This approach can spare you a great deal of time, money and heartache. Friendly settlement of the difficult issues which arise in family law matters is always an important and noble effort, but it is not always possible. That’s when the lawyers at the Family Law Group snap into action. Fighting to achieve our clients’ goals is the cornerstone of our law firm; it is a concept that we do not take lightly. Fortunately, our depth of experience with Ukrainian court systems and procedures offers our clients a distinct advantage in their litigation. 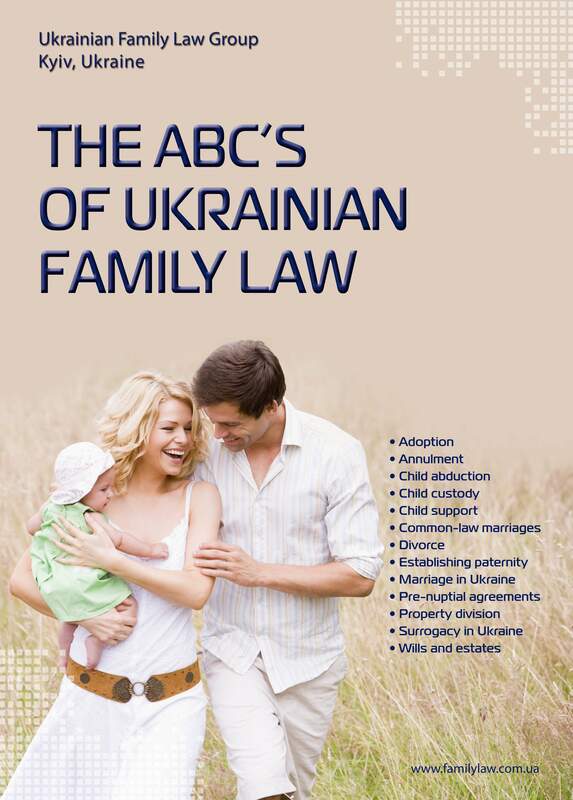 Our business is family law, and we are one of the top Ukrainian law firms in this field because of our pragmatic approach and efficiency. If you require legal advice or simply wish to discuss your circumstances, please contact us anytime.